According to the Drug Enforcement Administration, most of the illegal ketamine in the United States comes from Mexico. So how did a veterinary anesthetic get from a simple vets office to an average user on the street? Every drug of abuse has to start somewhere and it is surprising that many of them start as perfectly legal pharmaceuticals and are gradually adulterated into the street drugs that they are today. How did Ketamine Start Out? Ketamine is used as a sedative for animals undergoing minor surgeries. When scientists first developed ketamine, it was originally intended for human and veterinary use. It works as a short acting anesthetic. 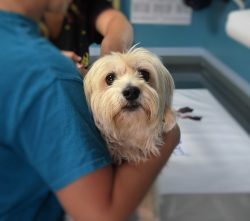 At first doctors and veterinarians believed that ketamine was an excellent alternative to many of the barbiturate anesthetics available for use as sedatives for minor surgeries. Many doctors and veterinarians like ketamine for its short duration. The effects last 30 minutes to an hour rather than several hours like other drugs in its class. Unfortunately, it has several interesting side effects that doctors did not discover for several years. A large number of humans reported emergence hallucinations or emergence psychosis. Simply put, people on large doses suffer from severe psychological and sensory issues after they come out of the anesthetic. On smaller doses they hallucinate, changes in perceptions, and changes in body image. Many people reported that these issues were severe, frightening, and disorienting and human use was curtailed to only those who absolutely needed an alternative. Since animals do not experience these effects, many veterinarians still keep the drug on hand as a painkiller and for use as a temporary anesthetic. This use prevents the ban on importing ketamine into the United States. As far as the DEA knows, the drug has never been manufactured in the United States. How did it go From Veterinary Use to Street Use? Although some of the ketamine that finds its way to the street is stolen from veterinary hospitals this is not its primary source. In 2002 and 2005 ketamine was coming into the United States, through Mexico, and although large amounts of it were seized and the people responsible arrested. That did not halt the illegal flow of ketamine into the United States. When ketamine was being stolen from hospitals and veterinary clinics the ketamine was pure and pharmaceutical grade. Since its legal uses dropped off, both the Mexican Cartels and the ketamine coming from other pharmaceutical international smuggling rings stepped up bringing the drug into the country. This means that the ketamine now sold on the street is cut with other dangerous and addictive chemicals. Unfortunately, this makes a normally not addictive pharmaceutical drug highly addictive, dangerous, and sold on the street. Most ketamine sold inside the United States on the streets is illegal and dangerous. Although law enforcement does its best to keep illegally imported ketamine off the streets, there are still a very large number of people ages 12 to 30 becoming addicted to ketamine and what it is mixed with. Ketamine itself is psychologically addictive, unfortunately many of the substances it is mixed with are physically addictive. If you find yourself addicted either physically or psychologically addicted to ketamine there is help out there. If you find yourself addicted to ketamine call us at 800-601-3889. We can help.